We are one of the leading Manufacturer,Exporter & Supplier of Finished Leather, Leather Shoes, Shoe Uppers & Equestrian Products. We offer quality products to our Client. We provide a wide array of Shoe-upper Leather, which is processed out of goat skins, sheep skins, cow and buffalo hides. These products are made available to our clients in finishes like Printed, Embossed, Polished, PU Finish, Waxy, Oily, Nubuck and Suede etc. We also provide these in various thickness, grades of shine, dull finish look and softness keeping in mind the varied requirements of clients. 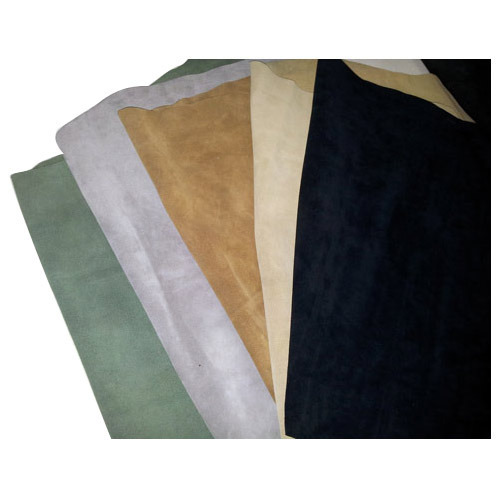 Our Finished Leather are used in Fashion Industry, Shoe Industry, Decor and other areas and it use in making of Small Leather Goods. We are the finest professionally and technically made the LEATHER.